Home > urban > Merry Reading Stocking Stuffer Christmas Clash! Merry Reading Stocking Stuffer Christmas Clash! The Happiest of Holiday Reading to you! seven authors with you -- some old friends and some new. December 17 for the Clash of the Titles champion. Which cover tickles your fancy? Which book would be next for you? Scroll down to find the voting form. Sixty thousand people watched Candace Rodriguez literally fall off the stage while performing the national anthem, wrecking more than her self-esteem. Will her new faith in Christ be strong enough to bring her to an After she could only dream of in her music, health, and love? Three in One special shorter reads of romantic Christmases Past for the busy holiday season. 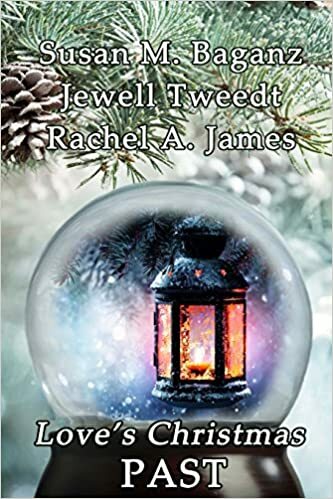 From the nineteenth century Wisconsin farm family to a small town doctor fighting a flu outbreak to Medieval Britain lords and ladies...all need a Christmas miracle. In 1903 New York City, Italian immigrant Sofia Falcone learns a family secret that sends her mother to the brink of insanity. When she meets a Vaudeville pianist whose own struggles cross hers on the streets of Little Italy, change is on the way, though it may not bring what they expect. The stalwart saint fights for faith... the redeemed rebel, fights for honor. After Dirk rescues Gwyneth from the Iconoclastic Fury, she discovers that faith is sometimes fragile and hope is not as easy as it may seem. What if the plane crash that killed Amy's fiancé was no accident? Some questions need to be asked. Create your own user feedback survey Images courtesy of Morguefile.com and the author's Amazon or Goodreads pages. I really like the cover of Silver. 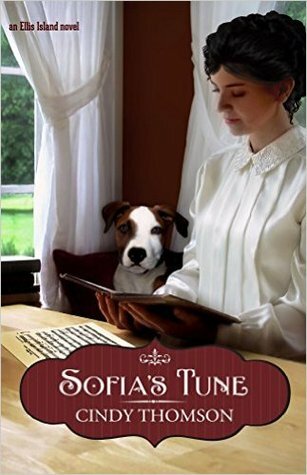 But I want to read Sofia's Tune next. I have to find out what the secret is. Thank you for stopping by! Please remember, only the votes collected in the Survey Monkey are calculated to determine our winner. Wow, I'm so pleased by the early responses and page views so far. Keep up the sharing and voting, and thank you for your patience on the early voting form glitch. Votes are coming in with a fast and furious three way near tie on the first day. Voting goes through Tuesday. Congrats to each of the 5 authors on her beautiful book and nomination!! Thanks for the wonderful reading enjoyment and inspiration you provide!! Voted for After! A lovely book inside and out from Joy Ohagwa! I love the book, AFTER! The cover is catchy, and the contents, inspiring! I vote for Sofia's Tune. Love the dog on the front!���� Have read this author before and loved her books! I am going to vote for Sophias Tune as well! Although I was intrigued by several others. The note up top says this is the voting form-if not, how do we access it? Kathy -- just after the books, there's a box with a burgundy-coloured stripe at the top that says "October and November 2015 New Releases Clash" and the next stripe says "Vote." I'm using Chrome, and can only see the first title, but when I click inside the voting area, I can use my computer's down-arrow to navigate to the other choices. Once you click on your choice, arrow down some more to find the button to submit your vote. It might be easier in different browsers, I don't know. Thank you for explaining, Janet and Kathy. Yes, this isn't the friendliest of venues for other devices, though we have tried to keep the forms user friendly in all arenas. Technology surpasses itself sometimes. Thank you all again for your patience and support! The main thing is to get our names out there and introduce ourselves to the reading public. 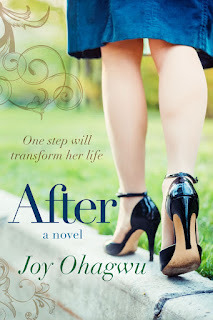 I vote for "After" by Joy Ohagwu. I love the phrase 'one step will transform her life' and the fact that the lady in the picture seems to be walking on an edge. Pretty catchy! "Technology surpasses itself sometimes." That's a good way to put it, Lisa. Thanks for all you and your team do to bring us new books every month... and for including mine in this month's challenge. I vote for Sophie's Tune! It's definitely on my TBR list! "I have read After. 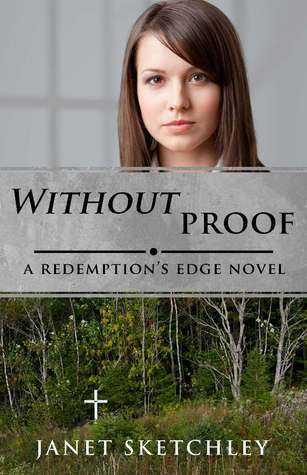 It is a wonderful book with authentic characters who have the kind of real struggles we all face. Their faith helps them overcome, but it is no easy task. I love this book and have recommended it to others. It's one of the best I've read this year." Such an honor for my AFTER to be nominated for this contest! Thank you to our wonderful COTT hosts, and many thanks to all who voted for AFTER. I'm very grateful:) God bless you all and Merry Christmas! (*Correct version* I hit send too soon) Such an honor for AFTER to be nominated for this contest! Thank you to our dear COTT hosts, and many thanks to all who voted for AFTER. I'm very grateful:) Congrats to the other selected authors. God bless you all and Merry Christmas! I vote for 'After'! The cover is easy to associate and relate - a path is unfolding all women have walked! I will say, it was tough to narrow it down. Each cover has great qualities. I vote for my Christmas Bells. It is part of Love's Christmas Past. I vote gor Sofia's Tune! I couldn't find the form. I liked the last one. I also can't find the form. 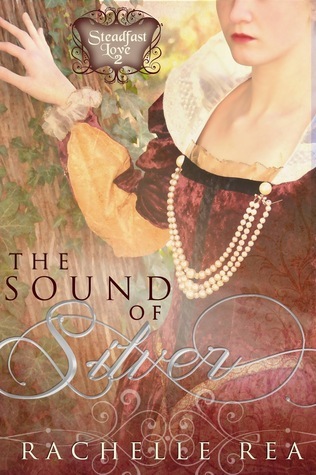 Voting for The Sound of Silver. The Survey Monkey is embedded at the end of the post. For those who don't see it, are you perhaps on a mobile device? Maybe it isn't rendering right for that. Can you try your laptop instead? When I hit view web version, the form was there.